Many people in companies have a tough time relaxing enough to learn the art of brainstorming. I came across this article on brainstorming by Frederick Buggie. With a name like that he must know a thing or two about brainstorming. Here is his article. There are six changes you can readily make to the common practice of "brainstorming," for any business purpose, that will make all the difference in the world, with respect to the creative output. 1. Number of participants: Seven, plus or minus two. More than nine — it changes the character of the group. Some polite individuals won't have an opportunity to say their piece ... or will have forgot what they were going to say ... or the particular subject is no longer on the table, when they do get airtime. It's noisy. Fewer than five participants — You're below critical mass of brainpower. It's quiet. 2. Managing the exercise: It's a 2-person job. It takes a leader to drive the Session, and the leader needs a facilitator, on the other side of the table, who is equally aware of the objective, and can serve as a "stalking horse," to demonstrate contributing the sort of input desired. 3. Attributes of participants: It is deep, diverse, relevant knowledge you need — coming at the topic from different directions. They need not be particularly creative by nature — the creativity is infused into the group by the "Creative Techniques" utilized by the leader. There are numerous, proven, classic Creative Techniques available for various specific purposes; they are listed and categorized in bibliographies, such as that included in the book, NEW PRODUCT DEVELOPMENT STRATEGIES (AMACOM: New York). As Casey Stengle used to say, "You could look it up!" 4. Preparation: ADVANCE assignment of the topic and some starting points to begin the thought processes is absolutely mandatory ... classic Creative Techniques should be incorporated in the advance briefing ... and there is no need for accuracy or completeness or seriousness; in fact, it is better to loosen up a bit, and leave some open ends to play with, and blank spaces which invite proposed possibilities. 5. Starting the Session: You'll want to begin the Session, in the morning, with a "Key Triggering" Creative Technique (look it up), focused on some distinct aspect of the topic, partly to get the individuals in a rapid-fire mode of thinking, partly to meld them into a cohesive working group (as opposed to a collection of separate persons in different positions), and partly to generate some lodes to mine. 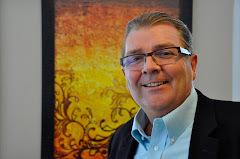 A Certified New Product Development Professional, Frederick Buggie is Founder and President of Strategic Innovations International Inc., headquartered in Lake Wylie, SC in the US, with operations in the UK and Europe. Thanks to Frederick for this article.